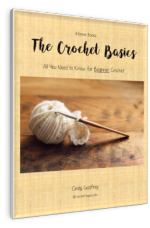 This is where you'll find E-books, patterns and crochet supplies. 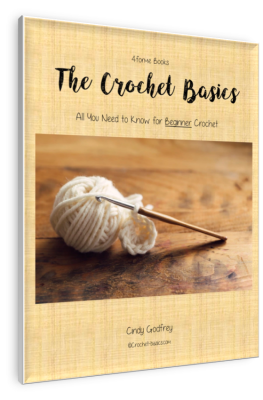 This book will make learning to crochet a breeze with clear, simple instructions that walk you through the learning process. From start to finish you'll find step by step how-to’s with lots of pictures to help you along the way. 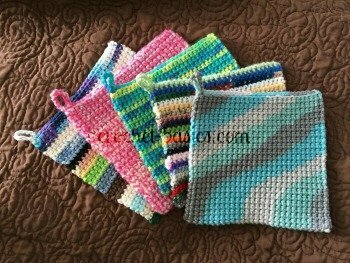 This is my absolute favorite kind of potholder to use in the kitchen and so this has become my go-to pattern whenever I need new potholders. This pattern has lots of pictures to help you with each step. This little gem holds all but your largest hooks, needles, scissors and stitch markers and anything else you want to keep in it. There's a pocket for it all and it folds up into a little book. This pattern comes with easy to follow instructions and lots of pictures to help you along the way. This pattern is a quick and easy project. You can use any combination of colors for beautiful coasters that will match any room. This pattern is super easy. It's all done with single and double crochet. The colors can be mixed and matched to accommodate any crafter's taste. They make perfect little gifts and are so quick and easy to make.